A part of every girl's heart lives in her closet. So it's best kept under lock and key. 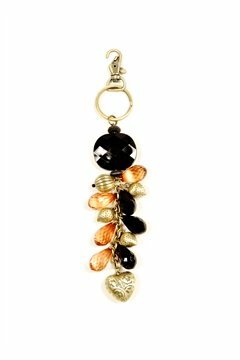 Our funky stylish key chains, can even be used as bag-hangings as these are designed only to please all you lovely girls! As you buy key chains online, they vary from boring to bold but it doesn’t mean they can’t be fashionable key chains. With the number of keys we have ranging from those that open our file cabinets to those that unlock our cars and doors to our home, it only makes sense to add a pop of style and flair with stylish key chains online. It will be hard to lose your keys when they’re stuck to a giant and a colourful keychain with quirky designs. Funky Key Chains--Quirky Key Chains--Key Rings for all your Keys! Need to differentiate what key belongs to whom? Slap a key ring on it! Rhea brings to you a variety of styles in designer key chains, key rings and bag hangings that will make you want to show off your keys wherever you go. Shop online for key chains here and we promise you don’t have to go anywhere else! Why Shop Stylish Keychains from Rhea? We at Shoprhea.com, love to pamper and spoil you. You can buy trendy fashion accessories here and we can have them shipped to you at your doorsteps having paid cash on delivery. 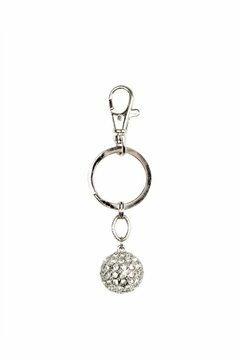 Buy key chains online at shoprhea.com at the most affordable prices and premium quality! To keep all important keys together safely, Rhea is the best online store for key chains. You will have all eyes on you when you flaunt our piece!